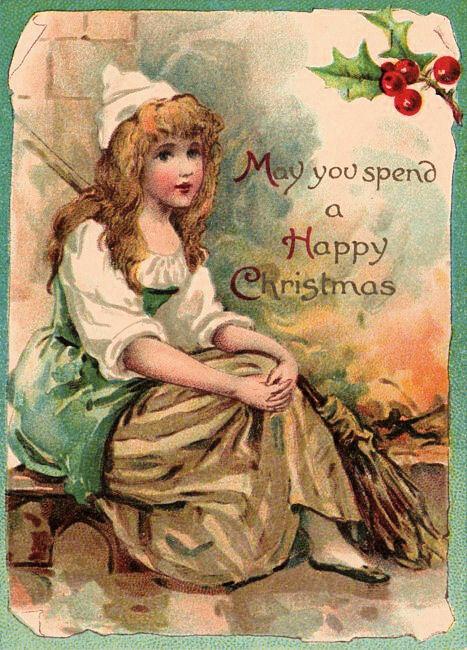 This is a cute antique Christmas card that features Cinderella and her broom, as well as a tiny festive Holly sprig. This would make a fun gift tag! Gorgeous and thanks again for posting daily all these wonderful images. I truly appreciate the effort you go to. Oh, it’s so cute! Got to grab this one for sure! She’s so sweet! Thank you! You guys are so nice!! Thanks for all your kind comments!